This is a place holder for old reviews. Randolph AFB and Fort Sam Houston combined to create the Joint Base San Antonio. 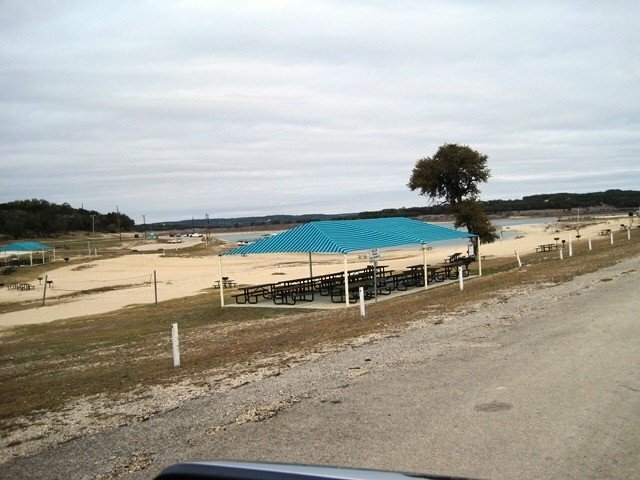 They each had a recreation area at Canyon Lake. These two areas combined and is now known as Joint Base San Antonio Park an Canyon Lake. operated by the USAF. 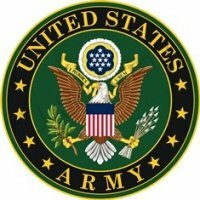 You can find information and leave reviews on the Joint Base San Antonio Canyon Lake Recreation Area here. I've camped here with my RV for years. First issue for years was no one answered the phone so you would have to literally drive there to make reservations , but in the last 5 months they hired people and that is fixed. On the sunny side the bathroom is below standard, it is awful, the sink has been broke forever and not replaced, the toilets leak from the bottom, how can that be healthy? The showers are like being powered washed, ouch and there is no adjusting the heads. The trash by the lake, around picnic tables and below the over looks, trash everywhere!!! Who is suppose to clean it up? How can a military camp ground be so dirty and trashy? This campsite needs help and regulation. It took 10 years to get a dock by the ramp so you wouldn't have to jump in the water and use your ladder to get in your boat! This place needs help. I love Joint base sunny side at canyon lake, I camp there a lot. My main concern is for the last 10 years the bathroom is awful. Its not about cleanliness, its the maintenance . All the toilets leak from under the toilet to the floor, the bathroom is always flooded , the sink was torn out and a temporary plastic one is there, old shower curtains and showers that are like pressure washers, they will put a hole in you. Everything is so old and nasty. It can't be healthy or safe. The bathroom needs dire renovation. If POTUS is giving so much money to the soldiers why is there a bathroom so nasty and outdated. Needs immediate attention. It would be a 5 stars all the way except, they can't or wont fix the dirty, brown water. We really enjoyed this campsite and I feel bad about the low rating. BSA Canyon Lake is a good place to retreat - but not convenient to San Antonio or Austin (about an hour into SA and about 1:15 into Austin). The nearest "real" shopping is at least 1/2 hour away. On the weekend there were more young campers with a bit of rowdy behavior. During the week, there might be one or two other campers in our area (Randolph AFB side) besides ourselves and the camp host. The Randolph side doesn't feel secure since the gate is left open all night and the gatehouse is only staffed part-time. There are security vehicles on the FT Sam side, but I've not seen them on the Randolph side at all. The lake is pretty and I enjoyed sailing here when I was stationed nearby in the '80s. The deer are plentiful and beautiful - will almost come right up to you. We had 35 MPH winds all one night but never felt in danger of falling trees, etc. The rates are more expensive than we're used to at other military facilities where we've stayed. Three stars, all-in-all. Staff are very rude and unprofessional. They need classes on customer service. They act like they are being bothered when asked to do their job. Light bulbs were burnt out and nobody came to replace them. This is a beautiful campground with well developed sites, some with lake views. Be aware that this is the former Fort Sam Houston Rec area and the former Randolph AFB rec area is right across the road. Both are now under Air Force management as part of the JBSA organization and the names can be confusing. We thoroughly enjoyed our one night stay here and hope to return. The area is exceptionally clean and well maintained. Lots of wildlife to watch. Bath houses are rather run down, but clean. Several restaurants and a grocery story nearby (not walking distance, though). While the area is exceptional, the management is a little harried. Just a few, of several examples - no one answered when I called to make a reservation. After repeated calls, I finally got through at 3:45 pm and was told that they close at 4 pm, and had already closed up so couldn't make a reservation, but I probably wouldn't need a reservation on a Thursday night. When we arrived at the gate the next day, the entrance was unmanned and it took several calls to get the gate opened. The one person at the office was trying to answer multiple radio and telephone calls while checking me in. To few people, poorly organized, trying to do to many things and doing none of them well. The only thing lacking at this FAMCAMP is customer service and good management. Spent memorial day weekend at Canyon Lake, great view, camp host were extra friendly and professional. Safety people were very professional. Like so many before this is an excellent FAMCAMP. Only issue I have is with the check-in process. They were very friendly and ready for me when I arrived. Looking back it appeared they assumed I had been here before and just told me to go almost back to the gate and I would find my site. My recommendation would be to provide me with a map and circle my campsite and give directions. It wasn't until the next day that I found out there was a map of the campground and what was available. I was lucky enough to be camped next to a camp host and he helped with what the office should have done. I will come back the next time I'm in the area. My wife and I were impressed! The camp hosts and all the staff we talked to were very friendly and helpful. It is wonderful to see these great facilities for the service members and their families. We camped in the RV park in a 5th wheel in a full-hookup pull-through site, and we drove all through the recreation area several times. The grounds were always clean and the wildlife was amazing. We saw lots and lots of deer, a few jackrabbits and even a fox. If we are ever in the San Antonio area again we will be sure to stay here. We loved it! Hopefully, Texas will get more rain this year, because Canyon Lake and all the other Texas lakes we saw were way down. While the facility itself ranks with the best, we were quiet disappointed with personnel at the registration point, in that, behavior was completely unacceptable. And let’s be clear, some employees did demonstrate good manners and were courteous. For instance; when we called in to make reservation, were told to ask about the “lottery,” since we were not able to reserve through the weekend. So at check in, we did inquire about the lottery. I don’t wish to mention names but the person who was taking care of us, besides being totally rude with their responses, also told us the “lottery” was not longer available. Incidentally, I came in the registration office Friday morning and luckily, a different person was at the front desk. Curiously I asked “again” about the lottery and to make a long story short and consequent to the “lottery,” we did get a site until Sunday, as originally desired. On another issue, when we are home, wake up normally arrives around 5:00 AM. Doesn’t necessarily mean a similar pattern is to be followed when we are on vacation. During our stay at Canyon Lake, we experienced a much unwelcome hammering noise from someone collocated next to our RV site. Moreover, they also elected to clean their POV air filter with a pretty loud air compressor. Later we learned that they happened to be “camp hosts.” To the powers to be, someone needs to visit the above cited matter and act accordingly. Customer service, for one, is a subject which should be equally exercised by everyone “behind the desk.” We look forward to return and hopefully the mentioned areas are taken care of. We absolutely loved our stay in the Bunkhouse on the Fort Sam Houston side. The area was clean and everything functioned just as it should. We made extensive use of the fire pit and grill as well as the convenient country store and bathroom/shower facilities. The kids enjoyed the playground and NEOS games. We rented a pontoon boat for the day for the extremely reasonable price of $105.00. We had an absolute blast. The guys at the marina were friendly, motivated, and professional and made the boating experience fun and low stress. The staff at the store and check in desk were courteous, friendly and efficient. The guy who let us in the gate initially (after hours) made us feel very welcome and was very helpful. Everything about our visit was positive. We will come back and do the exact vacation every time we get the chance!!! Great place for family and fun! We always have a wonderful time here and the fishing is always great! Arrived on January 5th for 4 nights. The check-in process is very good. There is a gate to enter and after hours each camper has an individual code to enter. (Works great, if your code has been setup. On our last visit about 2 months ago that was not the case. All was corrected quickly). We selected site #4 which is very level in all directions. The men's restroom was clean and in good shape except the door will not close, so need for a code on the door. According to the wife, the ladies not so clean and the heaters not working on day one. Next day much cleaner and two space heaters are now in place. A little too cold to check out the other amenities in the area. The check-in office was well organized and the folks that work there were very helpful. Supplies to purchase was ok. Due to the weather forecast for rain on our checkout date, we extended for one extra day. Ladies in the office did this with a smile. There is deer everywhere. Some of the other campers were feeding them. This is a common practice. We stay here a few times a year and always enjoy the stay. I love this place we live in San Antonio and before the joint base change we use to go at lease 1 week a month and stayed in the east RV park. Since the change we can't ever get a reservation phone rings 1000 times before answered and they they just tell you they have no reservations. They say they have first come first serve really who is going to load up your rv in hopes of getting a site. Why are there no reservations on line in this day and age it would be so easy then you could see when there are reservations available. This was my first visit to this facility. My initial phone call was friendly and courteous. I made a follow up phone call, Robert was very friendly and helpful. The female that checked me in at the gate was very friendly. The bombshell came when I got there late and was very tired and was actually at my site relaxing and setting up our site when a very grouchy bearded rude old guy came yelling about our boat being somewhat on the grass. Scared my family to death, ruined our night. Yes, my bad. I failed to notice my son had parked it on the grass. The guy had no tact I thought I left the army and went back to basic training. To notice the next day the guy 2 RV's down had his trailer on the grass for the duration of my time there(4 days). Perhaps that man was racist or had the good old buddy system going. Past that experience, the park was great, the shower facilities were great and everyone else seemed friendly and courteous. This by far is way better than the camp in Mississippi where we stayed last. At least the combination on the bath house works!The bath house looks new. Has nice individual shower stalls with two curtains, one on the outside area where the bench is and one on the shower stall itself. The bath house looks to be only a couple of years old, everything is very modern and up to date. There is a liquid soap dispenser that always has soap on the sink. The drive through pads with covered picnic tables are all 2 years old too and very level if your rig isn't too long. There is a ramp up to a very flat place and a slight ramp down. Before we every got our travel trailer plugged in, 3 deer came wandering through the campground. The next morning we saw about 17 deer. We are parked in space 8 so we are in the older campsite. The bath house is very close and it's an easy walk for me even though I don't walk real well. Behind the office there is a washer dryer area. There are 5 washers and 4 dryers. It costs 75 cents to wash and 50 cents to dry. Attached is a work out room what has several machines, tables and a tv so you can sit or work out while your laundry is working. There is also a bathroom and shower area, but the shower area is awfully old and there is no soap by the sinks there. There are no locks on the doors either, so don't use that shower! They really need to tear that shower area out and redo it completely. You have to leave the camp area to eat. They lock the gate at 10pm so you need to be back by then. You can always leave, but they don't unlock the entry gate until 7 am we are told. We love it so much here, we intend to stay longer, maybe another week. There is a nice walking trail with a gazebo to rest. The people and camp host are all so nice. And at night, weather permitting they invite everyone in the RV park to come gather around the campfire at 5 pm. There is a small area off the office to buy some supplies and ice cream. It is really peaceful here and in the mid 70's this week so the weather could not be more perfect! We will definitely come back here next winter! And the price is right, $15 a night for full hookups. And we have free wi-fi. I was disappointed with this campground. I was tent camping and while the campsite itself was good I was disappointed that there was no water available in the primitive campground. I had to buy water and bring it in. I have never been to a campground that did not have water spigots for the tent campers. I also thought that the bathrooms were dirty and one of the shower stalls looked like it was never cleaned. I also asked one of the office attendant a couple of local questions about where to get water and a good breakfast and I felt that he was rude and did not really answer my questions. Park is now a joint base operation with Randolph AFB and Ft. Sam Houston. Reservation policy changed while we were staying here to allow ALL full service sites to be reserved on the west park side. The full service sites 21-28 facing the lake have much better views than 1-10 which are farthest away from the lake. The park could use some maintenance in trimming up tree heights (less than 13 feet), leveling sites, and having utility hookups closer to the driver's side of the coach when backed in. Bath facilities need upgrading. Overall, we loved the location's proximity to Hill Country venues, San Antonio, and Austin. Would stay here again. Great place to stay. It's 16 miles off I-35. The staff is very helpful. I marked Amenities/Facilities down a little because there was never soap by the sinks in the bathrooms and the water backed up some when showering. Other than that it was great. Awesome trails. Super nice people wherever you go. Went fishing and we caught 9 w/i 2 hours. It was a really nice time. They have boats and paddle boats to rent at very reasonable rates. Not sure where the poster below got that there is a $5 fee on top of the $15/day. There is no additional fees. Maybe they changed that since he was here.